Caravelle Tours is pleased to arrange accommodations, transfers and sightseeing services in Florence and will be happy to provide you with any quotes you need for your upcoming trip. 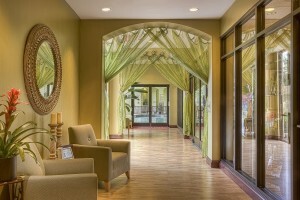 We offer a large variety of hotels in Florence, ranging from three to five stars. 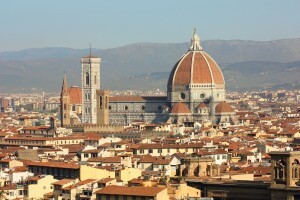 Caravelle Tours offers a variety of regularly scheduled and private tours of and from Florence. In comparison to regularly scheduled tours, private tours are of higher quality because you will be the only guests participating in this tour. You will enjoy private transfers and a private guide who is able to give you all the attention you deserve. Your guide will take you for a walk through the old city center. Visit the outdoor Duomo complex: the Baptistery with its bronze doors including the famous Porta del Paradiso and the visit of the Cathedral with the magnificent Cupola del Brunelleschi and Giotto’s bell tower. A short walk through the historic streets of the heart of Florence brings you to the renowned Academy Gallery, where you can admire the famous David by Michelangelo and other works by the great artist. The tour ends inside the museum. A beautiful excursion through the delightful hills of the Chianti countryside, with an ever-changing scenery of vineyards and olive trees. 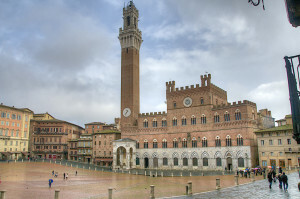 Upon arrival in Siena, a guided tour of the old city center: walking along the small medieval streets, admiring the splendid palaces and ending up at the Cathedral where you can visit the splendid interior including the Libreria Piccolomini and the adjacent Museo dell’Opera Metropolitana. The guided tour will end in the Piazza del Campo, one of the most beautiful in the world, where you will find the Palazzo del Comune (exterior). Continue to San Gimignano, a tiny city that has remained intact through the centuries; situated on a hilltop, it is famous for its numerous towers, frescoes, and other art treasures; free time to discover this fascinating city. Private or shared transportation is provided on this tour. A splendid excursion through the fertile and picturesque Tuscan countryside and to the historic university city of Pisa, famous for its architectural beauty. 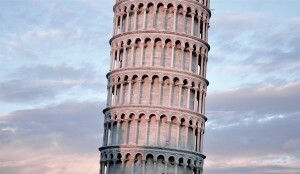 Upon arrival in Pisa, take part in a guided walking tour of Piazza dei Miracoli, with the celebrated Leaning Tower (exterior), the Baptistery (exterior) and other important monuments. Following, a visit to the interior of the Cathedral, an unrivalled masterpiece of Romanesque art constructed between the 11th and 12th centuries. Free time at your disposal. Those who are interested can take a pleasant walk and reach Piazza dei Cavalieri, where you can admire the historic Scuola Normale, one of the most famous universities in the world. Leave Florence by private or shared transportation and travel into the lush Tuscan countryside that surrounds the city. 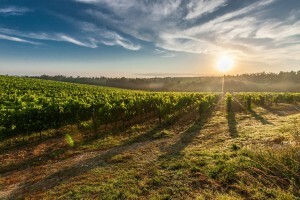 Revel in the scenery as you travel into the Chianti Fiorentino sub regions where some of Italy’s most prized red wine is produced. Stop in quaint Tuscan towns such as Greve, and take your time to stroll along the narrow streets. Choose the winery that inspires you and enjoy Tuscany’s prestigious wines and traditional snacks. Private or shared transportation will take you back to Florence. 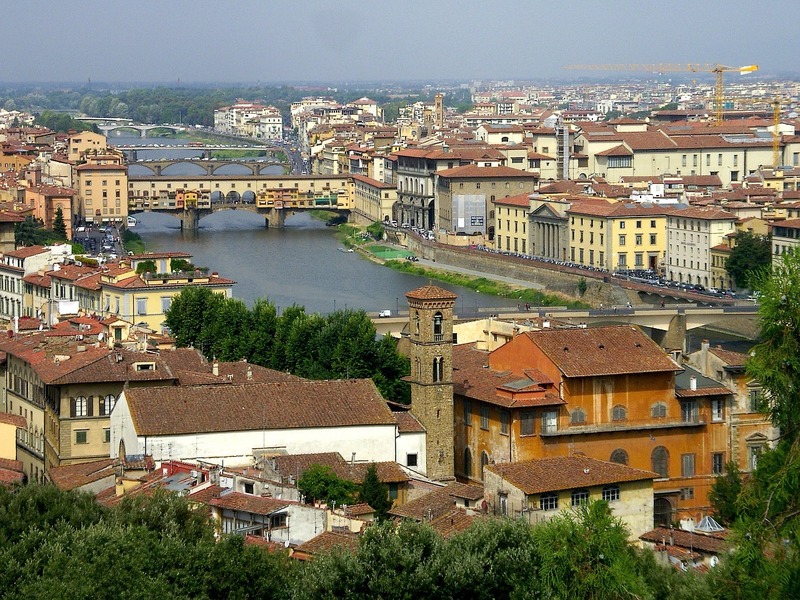 When in Florence, Caravelle Tours offers private transfers, up to 14 passengers. Depending on the number of passengers, you will be picked up in a deluxe car, a minivan, or a mini bus. All below listed transfers are one-way transfers, and luggage is limited to 2 per person. 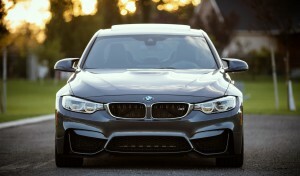 Below, you can find the most popular transfers we offer. Other transfers may be available upon request. Please contact Caravelle Tours for further information.